Feel free to pass on to family & friends! This following Web site Terms and Conditions Agreement (the "Agreement") governs use of this Web site, and the various offerings on the Site, which include, without limitation, access to ACC Hockey photographs. Use of the ACC Website. Services constitutes acceptance of the Agreement. 1. Copyright. 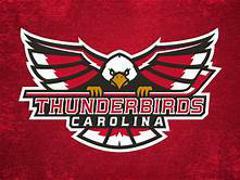 The ACC Hockey League own or license all copyright rights in the text, images, photographs, video, audio, graphics, user interface, and other content provided on the Website Services, and the selection, coordination, and arrangement of such content, to the full extent provided under the copyright laws of the United States and other countries. Anyone may use the Services (download photos) and the contents contained in the Services for individual non-commercial, personal, and informational purposes only. Any other use, including for any commercial purposes or financial profit, is strictly prohibited without prior written consent of the ACC Hockey League. Team Captain, ACC All-Star (x2), All-Star Team Captain, ACCHL Defenseman of the Year. The Atlantic Coast Collegiate Hockey League is committed to providing a quality athletic environment as an integral part of the student’s overall educational experience. To ensure this, the League will govern competition in a fair and equitable manner, while emphasizing safety and sportsmanship. Further, through our charter members, we will integrate collegiate ice hockey into the broader goals of the universities to ensure that the educational experience of our student athletes is paramount. ACCHL is a 501(c)3 Non-Profit Organization - 100% of your donations goes directly to the ACCHL or to the University Hockey Program you select. Multiple lines of stick for every individual player type! Focused on team sales by providing favorable pricing to ACC hockey teams & players. Every stick is customized with preference of stick type; blade pattern; flex; and name & jersey #! DNA donates back % of sales for every stick sold to the team ordering the sticks! 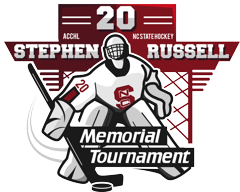 Kelly & Brady Buckley - The student-athletes of the ACC Hockey League are eternally grateful for your continued efforts and support of the ACC Fall Tournament in honor of your son, Stephen.